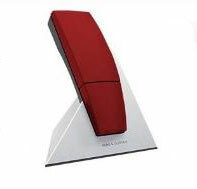 Bang and Olufsen BeoCom6000 Cordless Telephone Rechargeable Battery T373. Type: Nickel-Metal Hydride. Voltage: 3.6 V. Capacity: 700 mAh. Height: 45 mm. Width: 31 mm. Depth: 10 mm. Construction: 3 x AAA Ni-MH cells. Short red, black and blue leads with white 3-way connector. Internal thermistor and fuse. 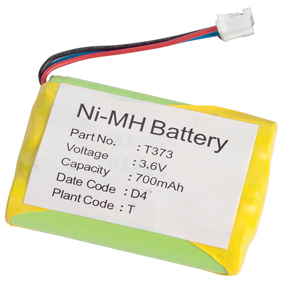 This T373 NiMH battery fits many Cordless Dect telephones. Do not be concerned if the mAh rating of our battery is different to your original. In most cases our T373 NiMH battery will have a higher rating than your original which will give it a longer talk time per charge.